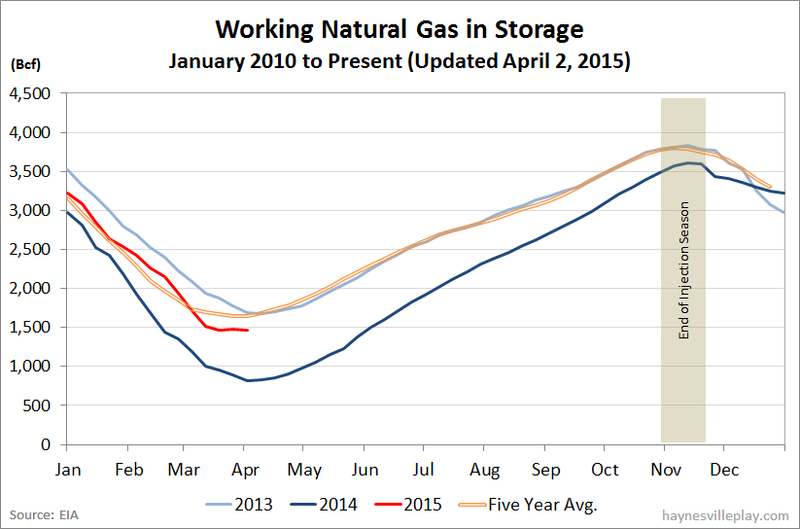 Reversing the previous week's injection, working gas in storage was down 18 Bcf last week to 1.461 Tcf. The withdrawal was still 53 Bcf smaller than last year (-71 Bcf), but it was nearly in line with the five year average withdrawal of 22 Bcf. The current storage level is now 75% higher than this week last year (833 Bcf, a difference of 628 Bcf) but remains 11.5% below the five year average (1.651 Tcf, a difference of 190 Bcf). Temperatures in the Lower 48 last week averaged 47.1 degrees, which was 5.3 degrees warmer than last year and 0.4 degrees warmer than average.